Kevin Durant and Leo Chang know each other well. 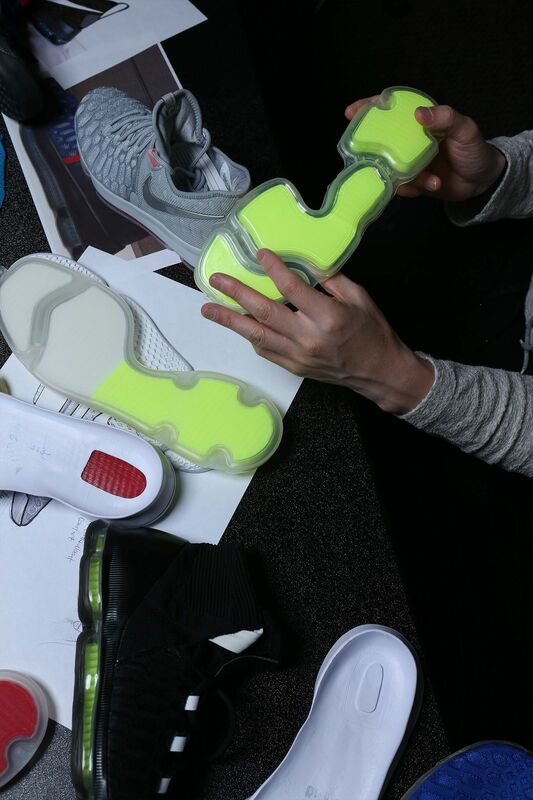 Having designed some of the most iconic KD signature styles, Chang knows what Durant likes best. 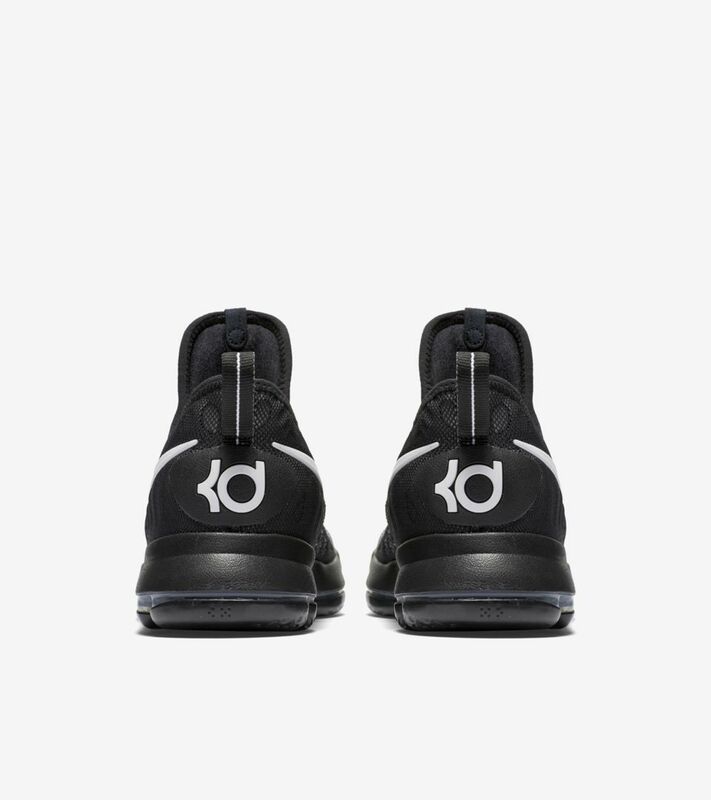 With last season’s KD 8, Durant had essentially everything he wanted in his signature shoe. 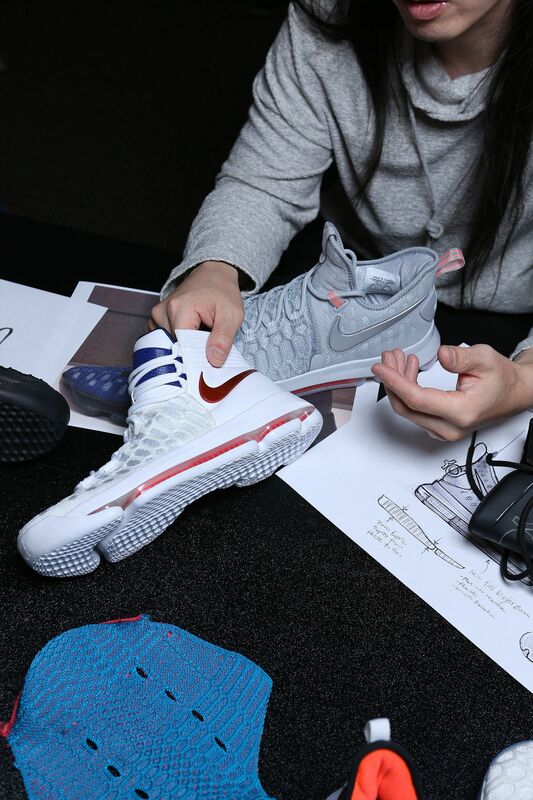 With the bar once again set high, Chang looked to elevate everything KD appreciated about his previous signature model when it came to designing the new KD 9. 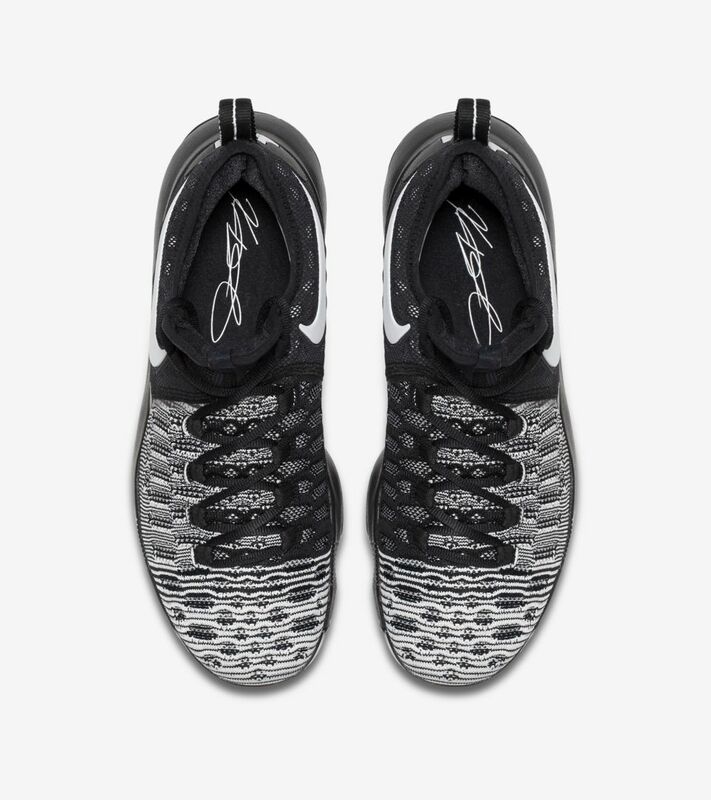 The evolution of KD’s ideal signature began with the upper. 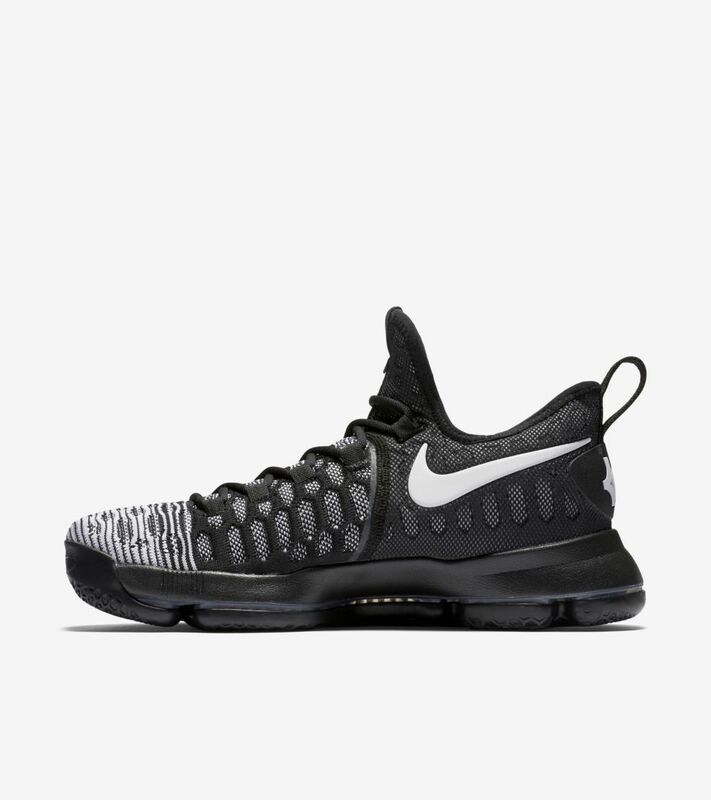 The KD 8 featured an innovative Nike Flyweave construction that created a unique sensation throughout the entire foot. 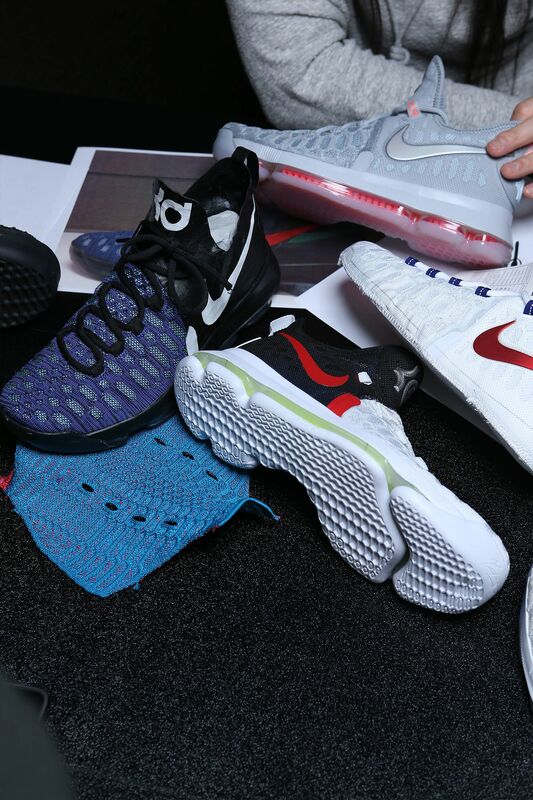 “The Flyweave in the KD 8 was cool because it locked you in, but it also felt natural, too. 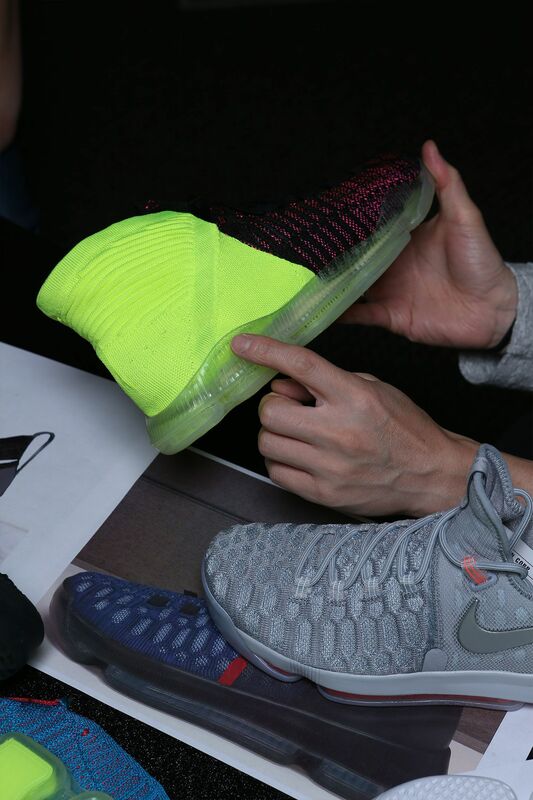 So, we felt by going to Nike Flyknit for the KD 9, that sensation would be properly amplified,” explained Chang. 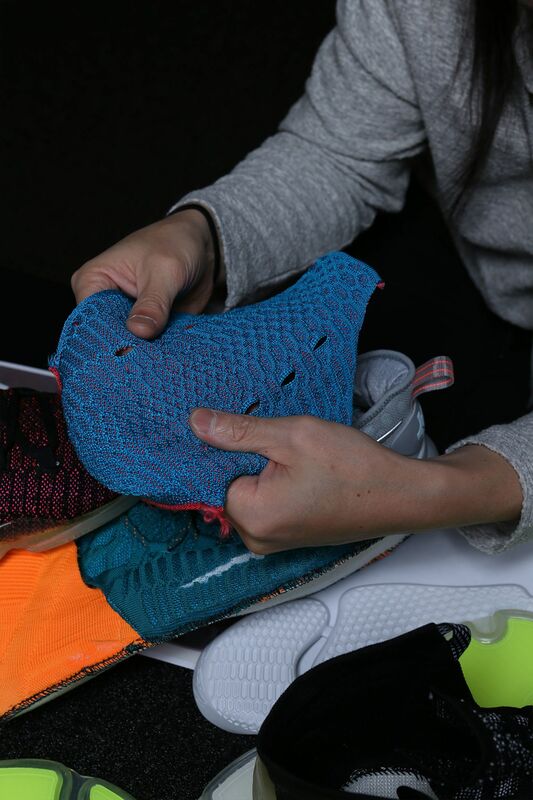 Once the new Nike Flyknit upper was perfected, it came time to make sure Durant was provided everything he needed in the shoe’s tooling. “With the Zoom Air unit on the bottom, the challenge became how really unlock the sensation of Zoom and give you that bounce, that responsiveness that we all love about Zoom Air,” said Chang. 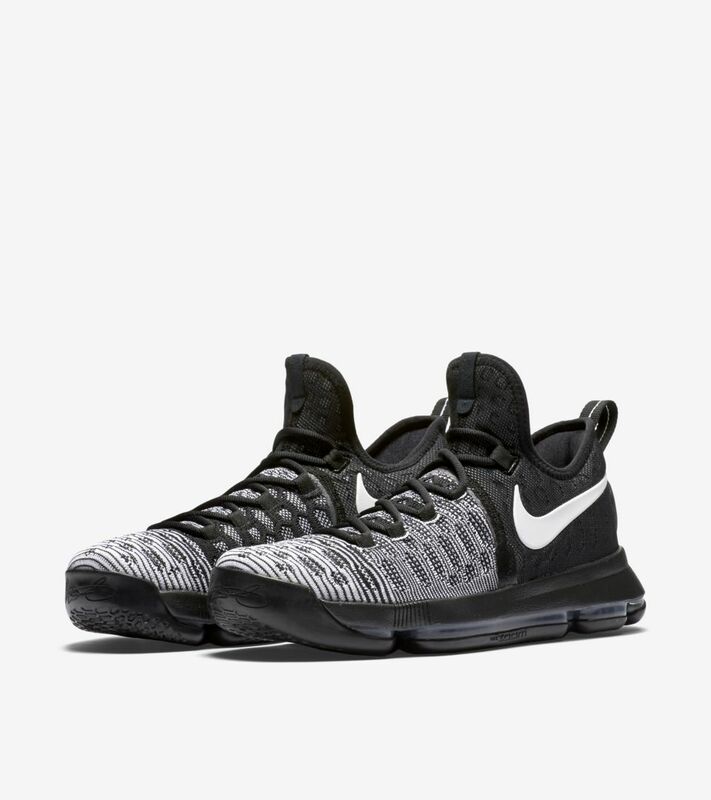 To create bounce and responsiveness, the Zoom Air tooling on the KD 9 was segmented. 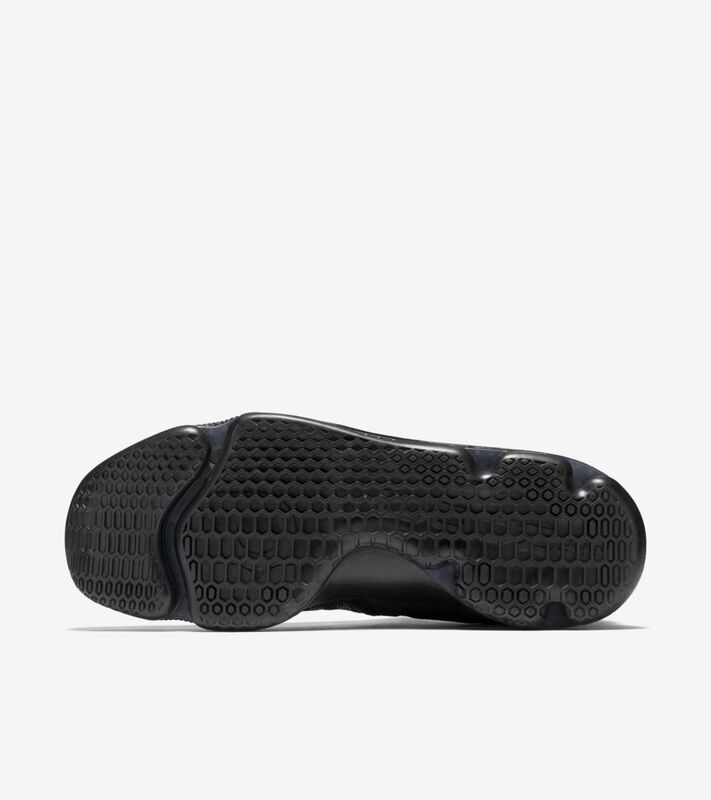 “We did that by really exaggerating the articulated forefoot area, breaking it up so it would flex in a natural fashion. 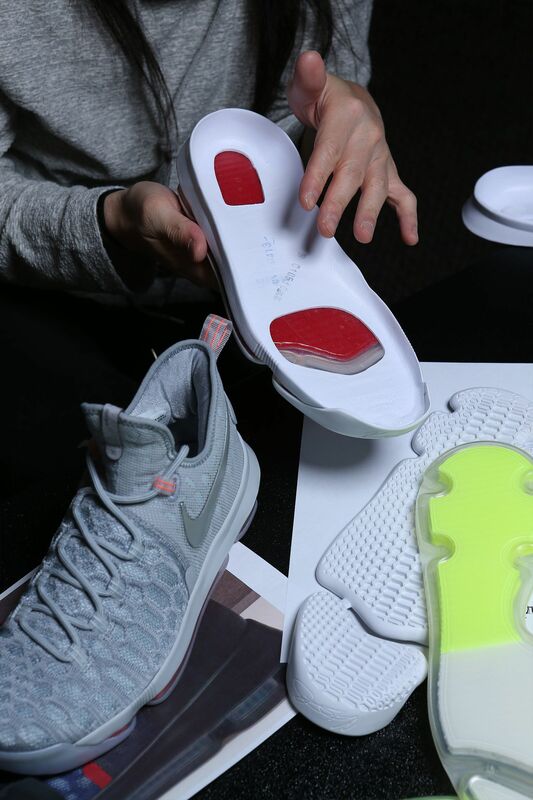 Carving away some of the arch, taking out some of the weight, gives it more of a natural arch.” The KD 9’s tooling also marks one of the first times two different levels of Zoom Air fiber thickness have been used. With about 16MM in the heel and 10MM in the forefoot, a natural taper, found in most shoes, is created. 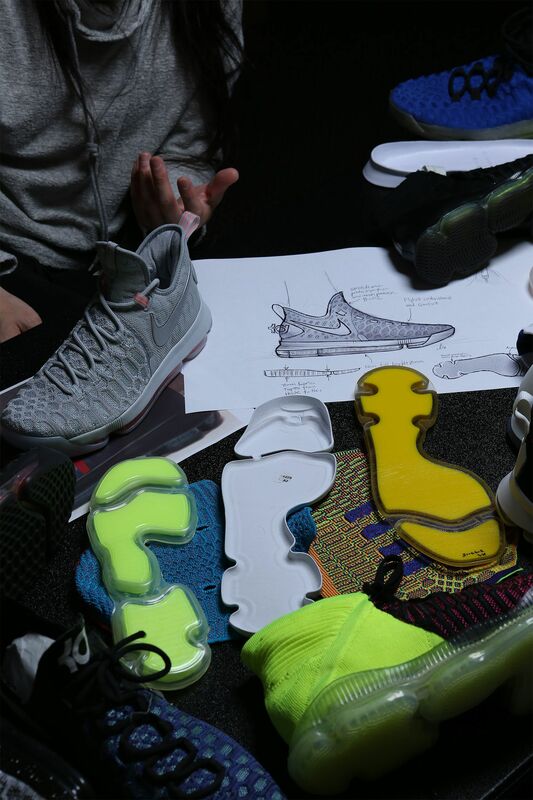 When it came to crafting the KD9, Chang focused on KD's evolution, which remained a key element in crafting the overall design. “As he’s grown as a player and as a person, he’s just getting more sophisticated. That’s what I was going for. Capture his essence of being more of an adult and a man,” said Chang. 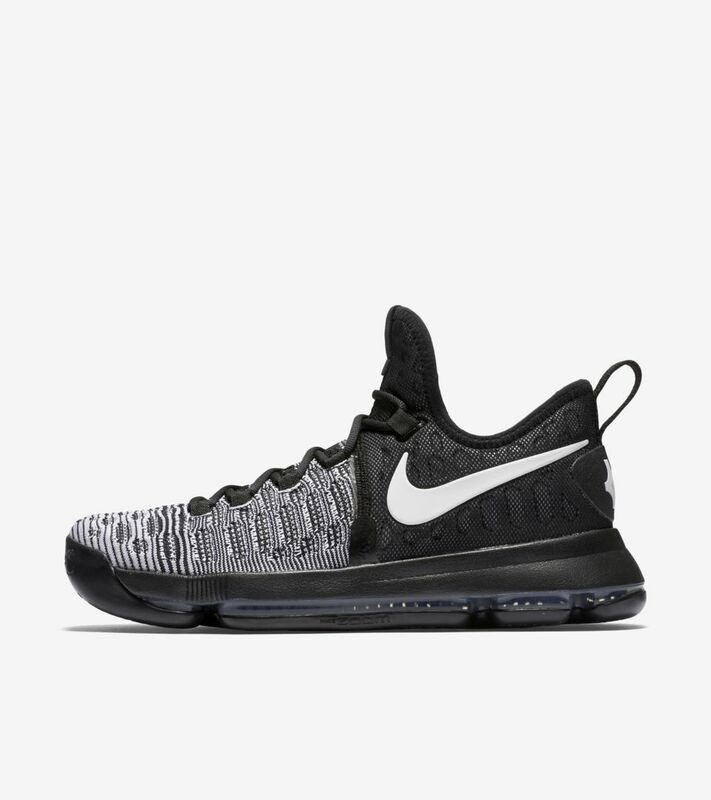 Now on the verge of a decade’s worth of signature footwear, the KD9 represents number 35’s continued ascent through bold play and innovative footwear. The latest in his line elevates everything he needs most on court, while also embodying his continued maturity courtesy of the design sensibilities of Leo Chang.